1950's Grease style Pink Lady jacket. 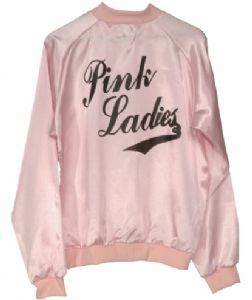 Deluxe Pink Lady jacket made from pink satin material with zip front. Pink Lady logo on front and on the back.